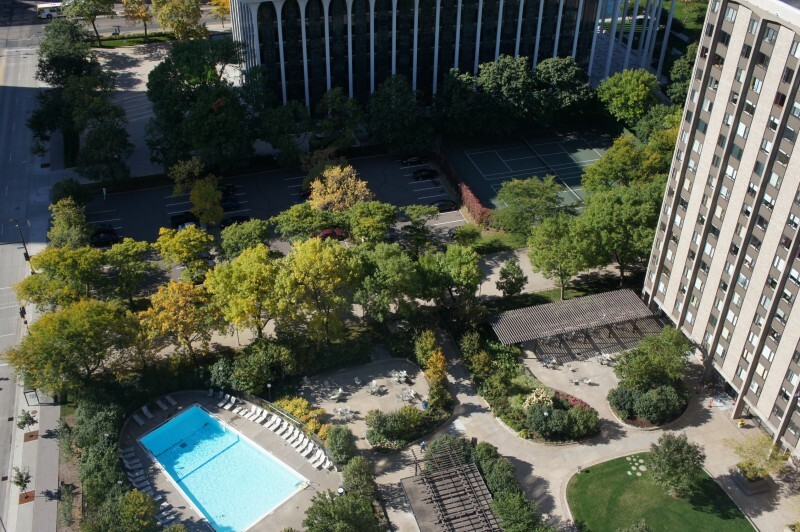 River Tower Condos are located in the core of Minneapolis and only a short stroll to the new Whole Foods, this property offers a compelling view of the river and the surrounding downtown area. You’ll love the outdoor pool and tennis court, as well as the rooftop gym with new rooftop outdoor area for relaxing. River Tower Condos consist of remodeled units with modern finishes like granite counters and contemporary fixtures making them compare to the trends in some of the newer buildings. But since it is an older building some units will still have original finishes. The party room is in building A the shorter one of the two that is adjacent to Hennepin Ave.
No Balconies are offered at the River Towers Condos. In the garage you'll find come and go short terms guests parking spots. 12 total. The building doesn't allow cats or dogs. The building has heated covered parking and outdoor parking options. All units owners lease them from the association and no owner owns them individually. The lobby has a 24 hours security deck and the main office in the garage is attended by security personnel 24 hours also. Packages are picked in the garage office. 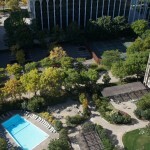 If you're interested in learning more about River Towers Condos for Sale. Contact MPLS LIST today.